103 Defined Buffer Brush - A small and dense brush used for applying foundation seamlessly. 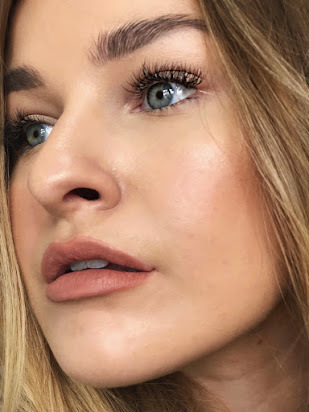 109V Face Paint Vegan - A great brush for contouring or buffing in foundation if you like the shape. 114 Luxe Face Focus - A brush that's best suited for blush or highlighter. 129 Luxe Fan - A very slim and delicate brush, perfect for highlighting. 142 Concealer Buffer - A dense and small brush used to buff in concealer. 228 Luxe Crease - A large eyeshadow brush that works well for blending transition colours on the lid. 234 Luxe Smoky Shader - A brush that works well for packing colour onto the lid. 317 Wing Liner - A broad, angled eyeliner brush. If you loved the Volume 1 and 2 brush sets, you will adore these too. Every brush is silky soft and of high quality. £75 can seem a lot to drop on some brushes but if you put the pricing into perspective, each brush works out at around £9.50. That is very cheap considering these are of such good quality. You also get a brush pouch which in this collection of brushes, is large enough to use as a make-up bag. I do wish the brushes were all 'base' based, so for example I would switch out the eyeliner and eyeshadow brush and focus on having a bigger powder brush and stippling brush. These would make such a cute gift though and I personally couldn't resist them! There has also been another release in this new range, the Rose Golden Blush Palette, which I will be doing an in-depth review on in the following week once I have tried it out a few times, so watch this space! These brushes look amazing!!! Not only they look beautiful but also it is such a great variety of brushes. 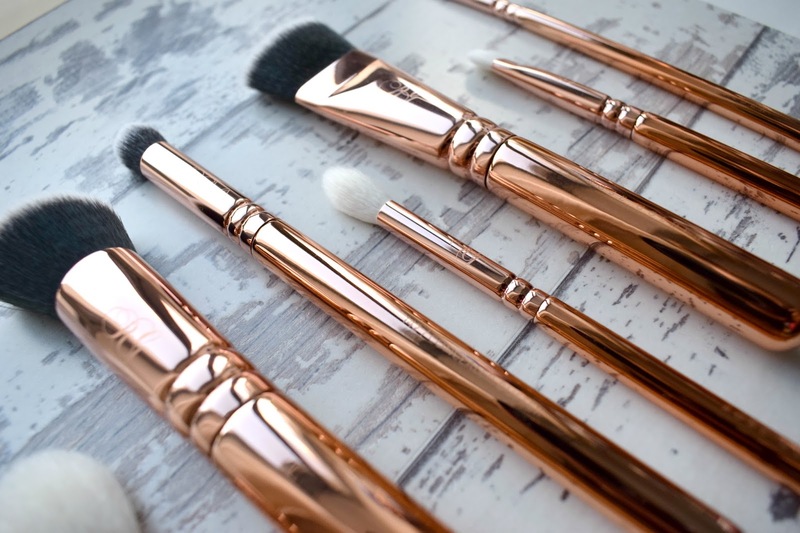 I love these brushes, i really want them but I dont know if I could bring myself to use them as they are just so pretty! 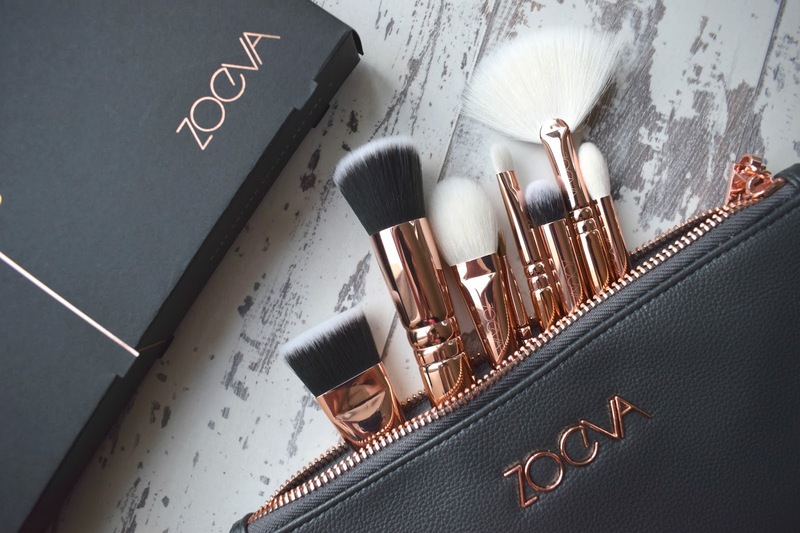 I've been planning on finally getting my hands on some Zoeva brushes this month so I think this kit may be the one! The rose gold packaging is stunning and I can definitely see myself using every brush in the set. Can't wait to hear your thoughts on the blush palette! These look gorgeous! My favourite brush at the moment is the Nanshy Buffer Brush is applies foundation flawlessly! Oh goodness me, that is a stunning set! I have yet to try anything from Zoeva but have read tons of great reviews. My favourite brush set is from Wayne Goss, super soft and I use them everyday.